The show keeps true to its name, as viewers indeed have trouble "Keeping Up with the Cardassians" as they hyper-jet set around the galaxy. The intergalactic couple's wedding was the most expensive ever seen in the alpha quadrant. The extragavant display was complete with supernova fireworks for which Khan'ye fired a high yield photon torpedos into the stars of neighboring solar systems causing them to explode in the most beautiful planet-destroying manner that could be seen parsecs away. However, some saw this as quite controversial as the inhabitants of those sectors did not appreciate having their planets combusted for the purposes of a laser-light show. At the time, Khan'ye stated that he did not think that anyone lived in those sectors, reasoning that he did not know that people lived there because he had never been, and that if he had never been, clearly they couldn't have been that important. The couple continued to dominate the headlines after the wedding and beyond, the newly-wed couple often butting ridged foreheads as they adjusted married life. Khan'ye angered Kim'ye, leading to the first lovers' spat, as the brash Klingon declared all the universe his and that everyone would soon have to join him in wearing his recently released line of bedazzled battle wear or be destroyed. Forgetting that his in-laws were also part of universe, the Cardassians took great offense to the threat saying that Khan'ye's incursions into Cardassian space will not be tolerated. On a conference hail to the MSNBCSI news network Kris Jen'Ar, head of the Cardassian Central Command exclaimed, "That arrogant fool will soon come to regret his insolence!" But, it was Khan'ye's same impulsiveness that smoothed over the situation, declaring war on their mutual enemy The Federation, saying he would "Eat the hearts of my enemies in Kim'ye's honor! ", with all remaining hearts to be used as accessories in his battle-gear line. Just as Klingon battle cruisers were about to enter the neutral zone, Kim'ye rushed to the frontier at speeds exceeding warp 9, telling Khan'ye that the fact he was willing to bring the entire quadrant to the brink of catastrophic war was enough to show his love for her. The entire incident is rumored to be the foundation of Khan'ye's, as of yet, untitled Klingon opera said to be the most ambituous since "Shevok'tah gish". 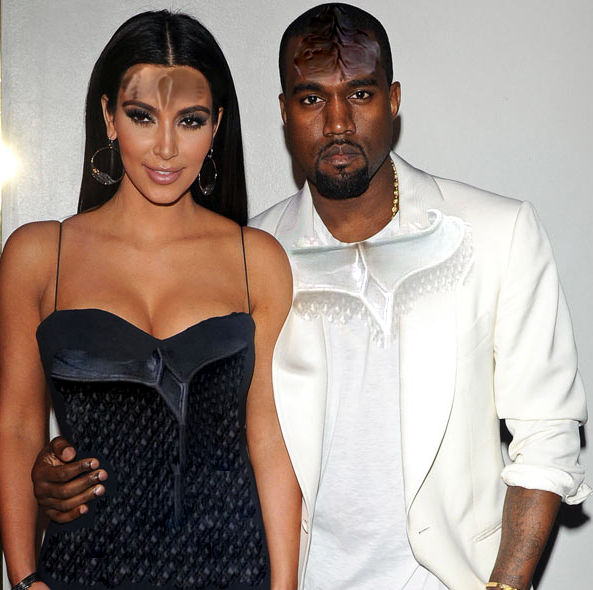 Many critics consider Klingon opera, and Khan'ye's especially, to be ear splitting and unlistenable. Khan'ye lashed out at these critics saying "They have brought dishonor to my record label and they will be killed in a glorious battle. Which will be the basis for my next bigger, and even better, Klingon opera." Love 'em or hate 'em, the Cardassians are making their presence known, raising viewership and tensions across the known universe.